My name is Jamie Love, and I am a down to earth, easy going person. I absolutely love what I do, and you know what they say… If you love what you do, you will never work a day in your life. This is my lifestyle, not work. I have made lasting friendships with many of the gentlemen and ladies that I have met, and am always striving to make these kind of authentic connections. I want to be your oasis. Life is so stressful, and I am sure- like me, many people depend on you. So, when we share time together, I want you to be able to sit back and relax. Let me take care of everything. I take pride in going the extra mile to make our time together special, and I always welcome and encorage you tell me if you have any special requests. I am a very open minded person, I believe that I should try everything at least once- and if I don’t like it, try again just in case the first time was a fluke! There are very few things that I consider “weird”. Let me be the person that you share all those inner thoughts with, the ideas that you thought no one else would understand. I always encourage reading my website in its entirety, as I answer many of the questions that you probably have there. In addition to all of the photos and fun stuff. Following me on social media will give you a glimpse into my inner life and thoughts, and afford you the opportunity to see regular photos, professional and candids. I also post all of my specials on Twitter. 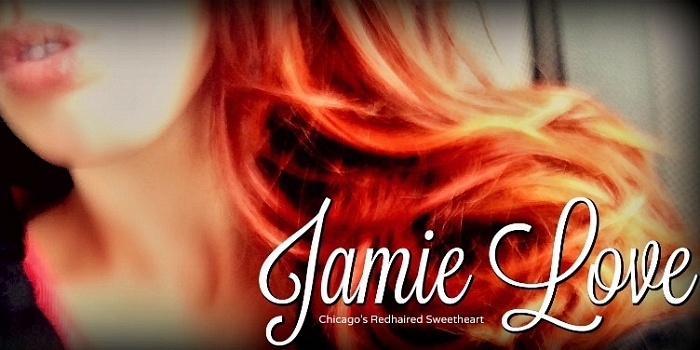 Jamie Love is a 5'7", slender, all natural, 30 year old caucasian woman with long red hair and blue eyes. I enjoy reading and writing, I hope to one day write a novel, and a memoir. I love working out and do so regularly. I have a passion for movies. I love all kinds of music, but have a special affinity for songs with deep, poetic lyrics. I LOVE going out to eat - if you wish to take me out to eat before or after our session - please let me know beforehand so I can plan accordingly. My favorite foods are japanese and italian. Though, I also have a special liking to spicy mexican dishes. Anything extra you decide to give me whether its on the list or not, will really touch my heart. Whenever someone does it, it lets me know that they really do care. If you can do that, planning our time together will be quick and easy. The emails that are written with effort, and include all of the requirements discussed above will also take precedence to the one word, remarks that show absolutely no effort. If I don’t answer your emaill within 48 hours, please try again or try a different form of contact.